The Dutch is famous for their apple pies, or appeltaarts. So why not take an apple pie break after a day of architectural stimuli in the busy city of Rotterdam? Rotterdam is the second largest city in the Netherlands, known for their crowd of distinct architecture due to the total obliteration of the city during World War II. 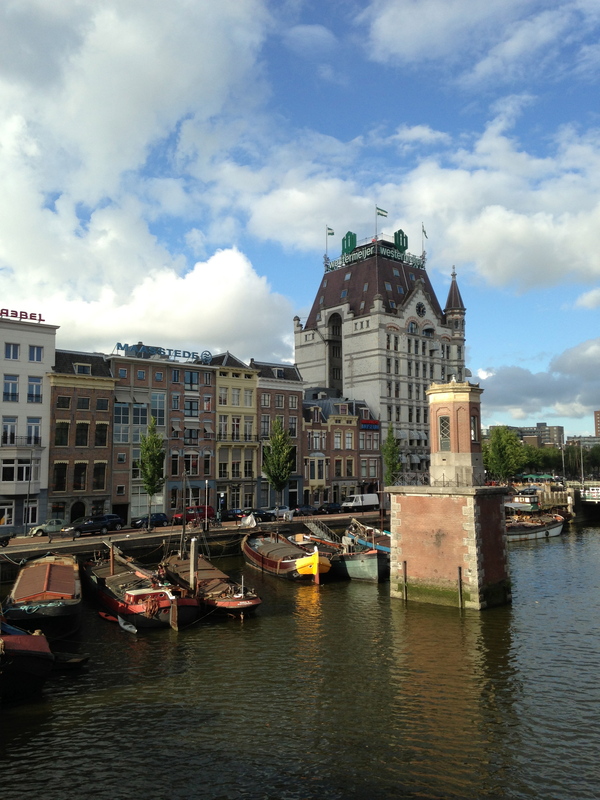 It is a city almost completely different than the beautifully historic Amsterdam, but rich in modern design and visual stimulants. 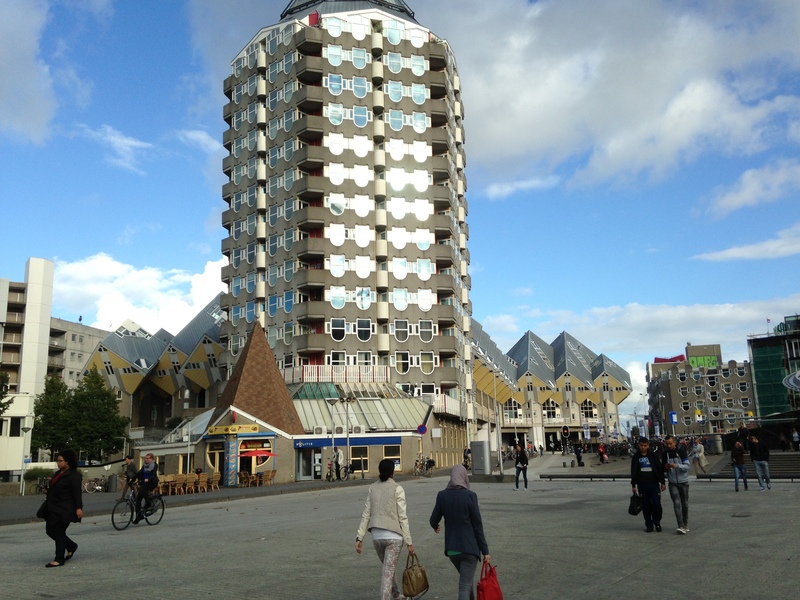 One of the most famous attractions is the Kijkkubus, which is a chain of cube shaped houses now converted into a hostel. The Rotterdam port is the largest port in all of Europe. There are many cafes situated a long the port that is always nice for a casual drink. 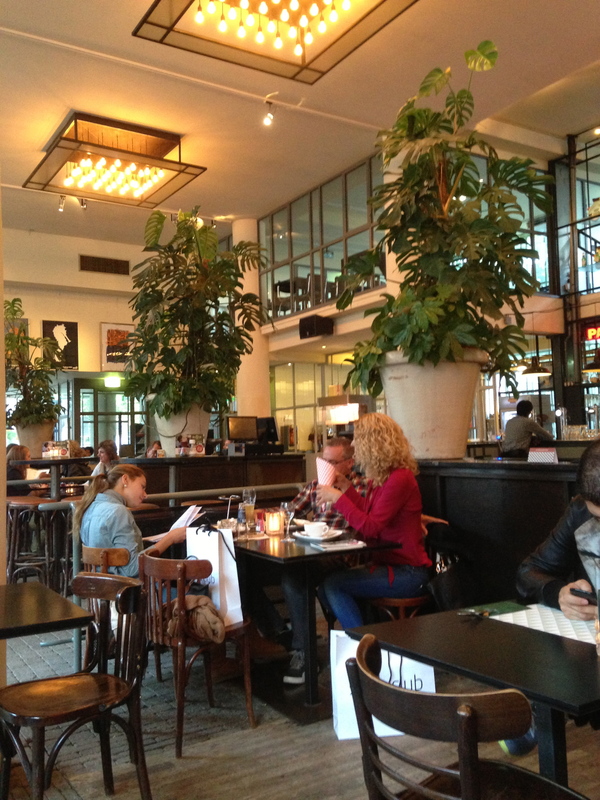 Dudok is a huge cafe with the apple pie as their signature dish and a must try. The pie is fairly large in serving and is served warm (how wonderful is that?). I always find pies to run a little sweet and heavy for me so I ordered it a la mode. 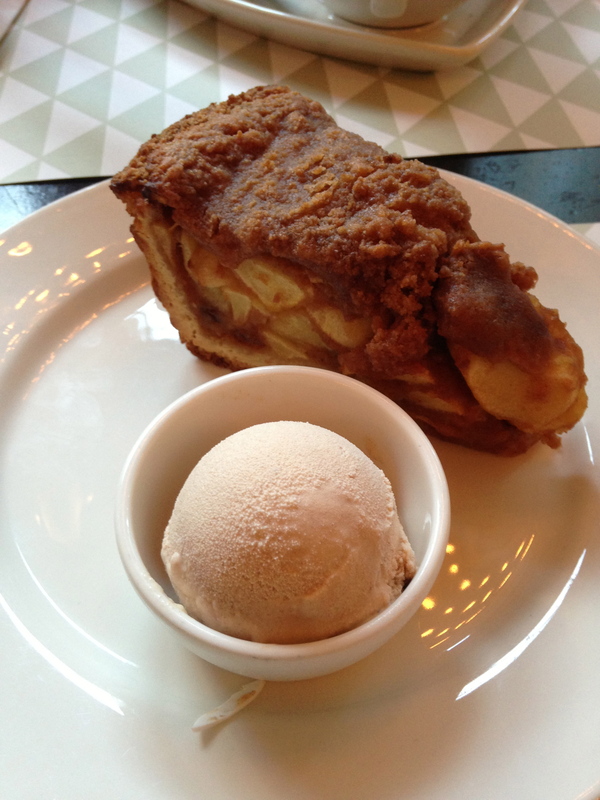 Warm pie is always delicious, but the cinnamon ice cream is what really amazed me. Simply a perfect combination with the pie. All in all, the cafe provides a very friendly and warm atmosphere (and also free wifi!). The clientele here varies from families to tourists to solo guests here for a read or working on a laptop. It also has two stories, all in which contributes to a very spacious and comfortable environment. Truly is a great rest stop for travelers, or for any foodies looking for some delicacies! 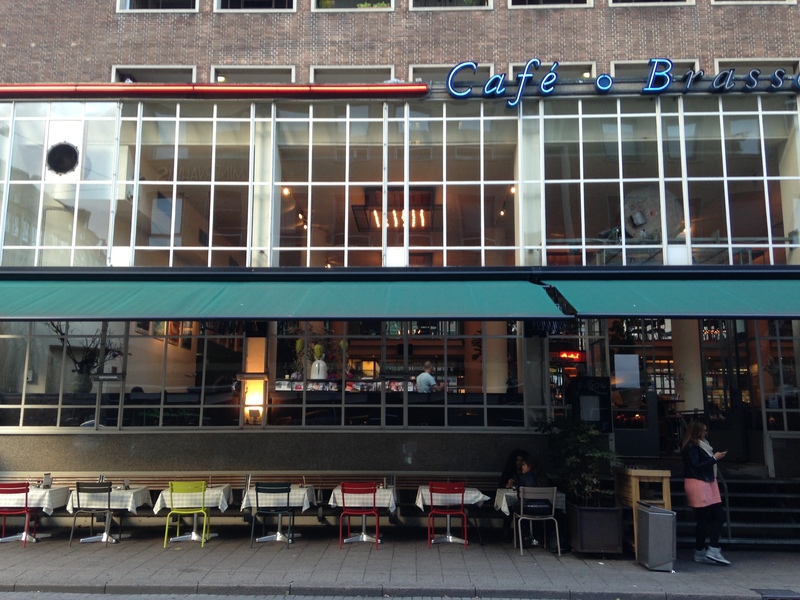 This entry was posted in 48 Hours: Travel Like a Local, Stuff we love, Taste and tagged apple pie, cafe, dudok, excursion, restaurant, rotterdam.